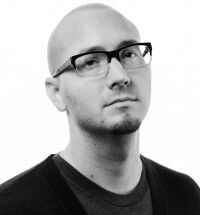 Video: TEDxChapmanU: TEDx Talks Pain & Art: Write What You Honestly Know. Video: ALL INVOLVED reading at Vroman's. 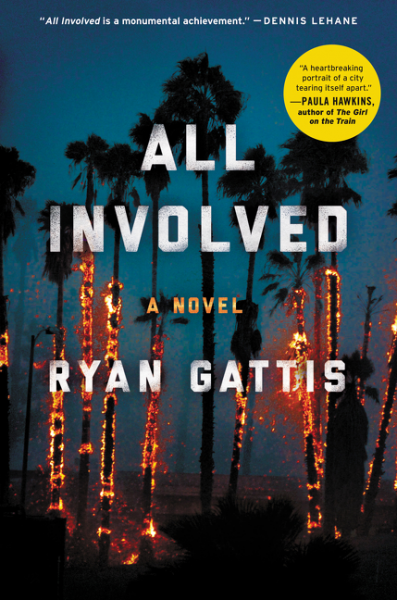 Article: The New York Times: Review: "All Involved"
Ryan Gattis is a writer and educator. His most recent book, All Involved: A Novel of the 1992 L.A. Riots, is grounded in two and a half years of research and background spent with former Latino gang members, firefighters, nurses, & other L.A. citizens who lived through it. The work has been optioned by HBO, with the author attached as an executive producer. Born in Illinois, but raised in Colorado Springs, Gattis wouldn’t write the way he does without having been a listener and an outsider in many different places. He has lived in California, Australia, and England, as well as having done two home-stays in Japan—one with a CEO’s family, and one with a cabdriver’s. All Involved (Ecco) is a propulsive and ambitious novel; a mesmerizing epic of crime and opportunity, race, revenge, and loyalty, set in the chaotic streets of South Central L.A. in the wake of one of the most notorious and incendiary trials of the 1990s. At 3:15 p.m. on April 29, 1992, a jury acquitted three white Los Angeles Police Department officers charged with using excessive force to subdue a black man named Rodney King, and failed to reach a verdict on the same charges involving a fourth officer. Less than two hours later, the city exploded in violence that lasted six days. In nearly 121 hours, sixty lives were lost. But there were even more deaths unaccounted for: violence that occurred outside of active rioting sites by those who used the chaos to viciously settle old scores. A gritty and cinematic work of fiction, All Involved vividly re-creates this turbulent and terrifying time, set in a sliver of Los Angeles largely ignored by the media during the riots. Gattis tells seventeen interconnected first-person narratives that paint a diverse portrait of modern America itself—laying bare our history, our prejudices, and our complexities. With characters that capture the voices of gang members, firefighters, graffiti kids, and nurses caught up in these extraordinary circumstances, All Involved is a literary tour de force that catapults this edgy writer into the ranks of such legendary talents as Dennis Lehane and George V. Higgins. Gattis received a B.F.A in Creative Writing from Chapman University and a M.A. in Creative Writing (Prose) at the University of East Anglia in Norwich, England where he studied under the supervision of Andrew Motion, then Poet Laureate. He taught courses in English and Creative Writing for nine and a half years at Chapman University as an adjunct professor. While there, Gattis taught the bulk of core undergraduate creative writing courses and pioneered a professional course in Writing for Video Games which saw its students move on to full-time jobs at TellTale Games, Jumpstart Games (for Dreamworks’ IP), & Activision/Blizzard. He is a member of UGLARworks, an L.A. street art crew that paints murals as a Pre-Approved Mural Artist for the City of Los Angeles. Gattis is also a board member of 1888, a non-profit in Orange, California, dedicated to the preservation, presentation, and promotion of cultural heritage and literary arts.